SenSura Click Closed Pouch by Coloplast features a mechanical coupling that clicks into place confirming the pouch is tightly secure to the barrier. While the two-piece system is locked it has the ability to rotate when changing body positions without having to remove the pouch from barrier. SenSura Click has a soft cloth front and back to be gentle against the skin. Coloplast uses a color-coded coupling system so that you always choose the correct SenSura Click Barrier in either green, red, blue or yellow. The pouch is designed with a filter to prevent ballooning and an EasiClose Wide Outlet. Selecting the right 2-piece pouch for you may be based on your stoma output. A closed pouch may be your preference over a drainable pouch when there is high volume and you want to change out the pouch each time. 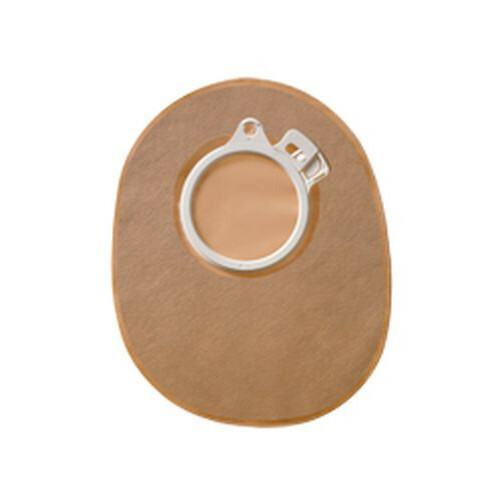 A drainable pouch is preferred when there is more liquid stoma output. 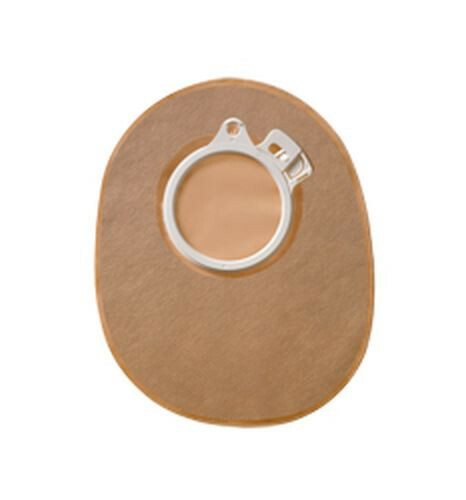 In addition, a 2-piece is recommended over a 1-piece ostomy pouch when pouch is changed often so that there is little disturbance to the stoma. You may be interested in using the Brava Adhesive Remover in spray or wipe to gently lift the appliance when changing the baseplate.